Guys, I just saw the trailer of Zero. Just one word... OUTSTANDING!!! Congratulations Anand! Katrina is fantastic! Anushka is unbelievable! Shah, you have outdone yourself! Good initiative of megastar Aamir khan to support small actors , he was doing that in past & keep continuing his good work..
We are proud of you sir , please keep up your good work. Ek din main sab clear ho jayega. 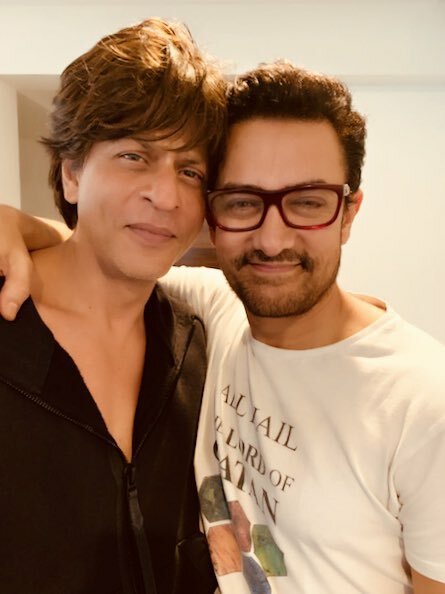 Meanwhile...........KHANs kindness to each Other. aamir khan --- whats in it for me?? PR work start now on a full speed. Yes bro isse jayada Aamir ki aukat nahi hai stardom to hai nahi uska. Ajay I know that's your opinion but I amazed how and why you feel aamir has no stardom.